Professor Arnoud Franken holds an Engineering Doctorate (MBA-enhanced PhD) from Cranfield University, England, and a Master of Science in Mechanical Engineering from Delft University of Technology, the Netherlands. 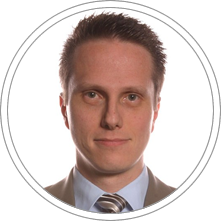 Dr. Arnoud Franken works as a professor of strategy at Maastricht School of Management (MSM) and as Academic Coordinator of the joint MSc MME programs with the RWTH Aachen University, Germany. He is also a Visiting Professor at Cranfield University, England. Dr. Franken has researched the strategy making practices of leading organizations, such as Virgin Atlantic, the InterContinental Hotels Group, the Royal Marines Commandos, etc. He currently is a Professor at Maastricht School of Management (MSM) and Associate Professor at CENTRUM Católica Graduate Business School.